Shubhendu Sharma's start-up Afforestt is helping build natural urban forests that grow in a short period of time and are maintenance-free. Those weekend trips you made to a hill-station or to your farmhouse cushioned amidst nature, need not be just during the weekends. If Shubhendu Sharma and Afforestt have their way, every backyard in our country will have abundant greenery. Shubhendu's company grows urban forests that are maintenance-free, natural forests using afforestation methods from Japan and through some research of their own. And all these forests can be grown in just two years time. "Our forests grow ten times faster than trees planted conventionally, giving you the equivalent of a 100-year old natural forest in just ten years," says Shubhendu proudly. Afforestt can create dense forests with three-five trees per square metre, in areas as small as 1,000 square feet. And their maintenance-free, natural, bio-diverse forests cost only a tenth of making lawns. Afforestt uses only native species and works with 100 per cent organic materials to mimic what nature creates. Shubhendu is targeting people who prefer natural landscapes to manicured lawns or exotic trees, for the later does more harm than good to the environment. Afforestt is making urban forests in corporate campuses, around apartment buildings, hospitals, schools etc. Another plus about these urban forests is they can soak grey water coming out of sewage treatment plants, hence aiding purification of air and water. Shubhendu stimulus to start-up was his stint as a volunteer in the afforestation team at his previous employer (Toyota) as well as his personal hobby of afforestation. 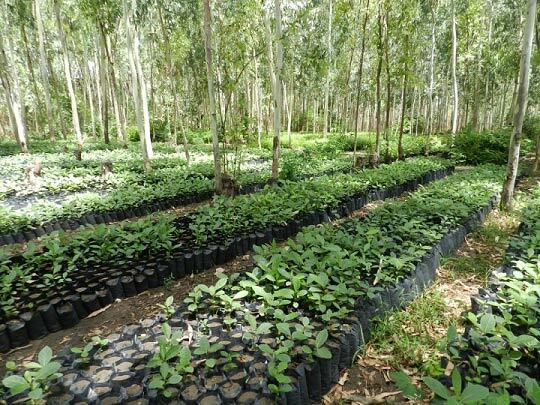 "All this started when I met Dr Akira Miyawaki, whose afforestation methodology (known as the Miyawaki Method) makes forests grow ten times faster. I was fascinated with his work and joined his team as a volunteer to cultivate a forest in our Toyota factory premises," says Shubhendu. He subsequently started experimenting with modifications to the Miyawaki Method to reduce costs involved and to Indianise the method. "And this resulted in Afforestt's method, which is a modification of the Miyawaki method using organic soil amenders," explains Shubhendu. After practicing the methods successfully in his backyard at Uttaranchal, Shubhendu decided to combine his passion and hard work and make a living out of the opportunity. The first reactions from landscapers and NGOs involved in environment conservation were negative. 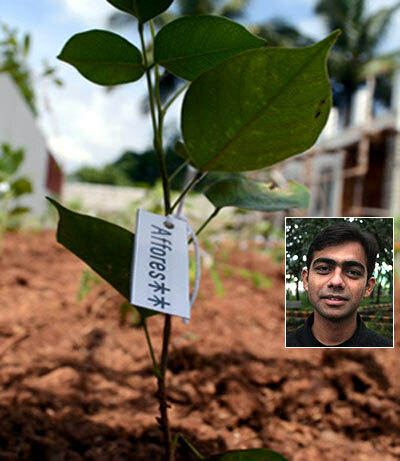 Despite naysayers, Shubhendu formed his team and started Afforestt. And since January 2011, Shubhendu has been increasing the green cover in our country, the Afforestt way. Shubhendu dreams to change the face of our planet for good. "We have lost most of our natural habitat in the name of economic progress/development. Afforestt will help correct this . My mission is to bring back the natural greens in which we humans deserve to live," he says. Based in Bangalore, Afforestt can currently work across the Indian geography. Afforestt has so far 11 forests in five cities from Kerala to Uttarakhand. "We can create forests anywhere and everywhere, using materials available within a 100 km radius of the site," says Shubhendu. What Shubhendu has set out to do, will impact all of us but he draws his personal motivation from being able to create something of his own. He shares an incident, when two volunteers joined two different batches of his afforestation programs. One a two-and-half-year-old child who planted the saplings all by herself, as if she had always known how it had to be done. Another, a 92-year-old lady who planted the first sapling with her son, murmuring a silent prayer; knowing what a tree stands for. "The realisation that what I am doing is enjoyed and loved by an age group spanning a whole human lifetime gave me a great sense of achievement," says Shubhendu. This year, Afforestt has launched Urban Containerized Gardens (UCG) which will enable people to grow greens indoors and on rooftops. Talking about revenues, Shubhendu says, "We charge our clients for total area covered, which builds in our profit margin. For UCG, we will charge as per the number of containers bought." About UCG Shubhendu has invented a technology using which the containers that don't have to be watered and maintained regularly. Afforestt is trying to keep gardens as maintenance free as possible. Their gardens are 100 per cent organic and will be used to grow food as well. In the next six months Afforestt plans to launch Do-It-Yourself (DIY) kits for UCG where hobbyists can make their own indoor and rooftop gardens using the DIY kits.